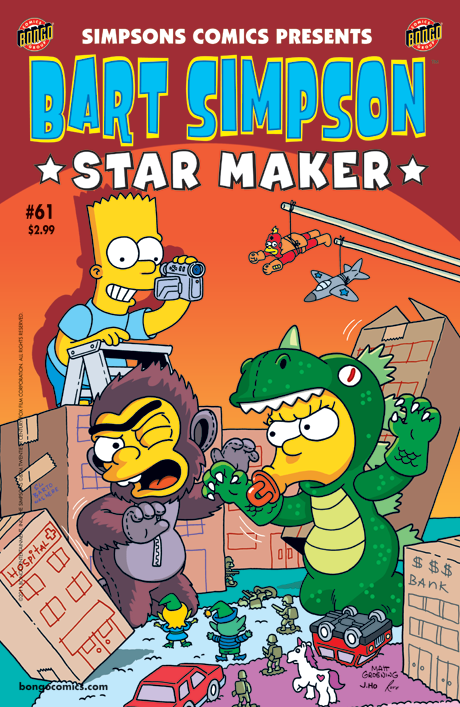 Bart Simpson Comics 61 was released in USA in July 2011. Maggie's imagination comes up short when Marge takes her to play on the rocking toys at the market. Lisa teaches Homer a cautionary lesson about the good and bad effects of going green.